A good parent-child toy, bowling with Mom and Dad, baby happy, family fun. Cultivate your baby's hands-on ability, train your baby's accuracy and observation, and hand-eye coordination ability.It is a very good gift for children! Use high-quality materials, no edges and corners, good surface smoothness, safe to use. Five-color bowling color is bright, Let the baby learn to recognize the color in the process of playing. It is the ideal toy novel mini bowling ball that develops the intelligence to train the baby's hand-eye coordination ability. 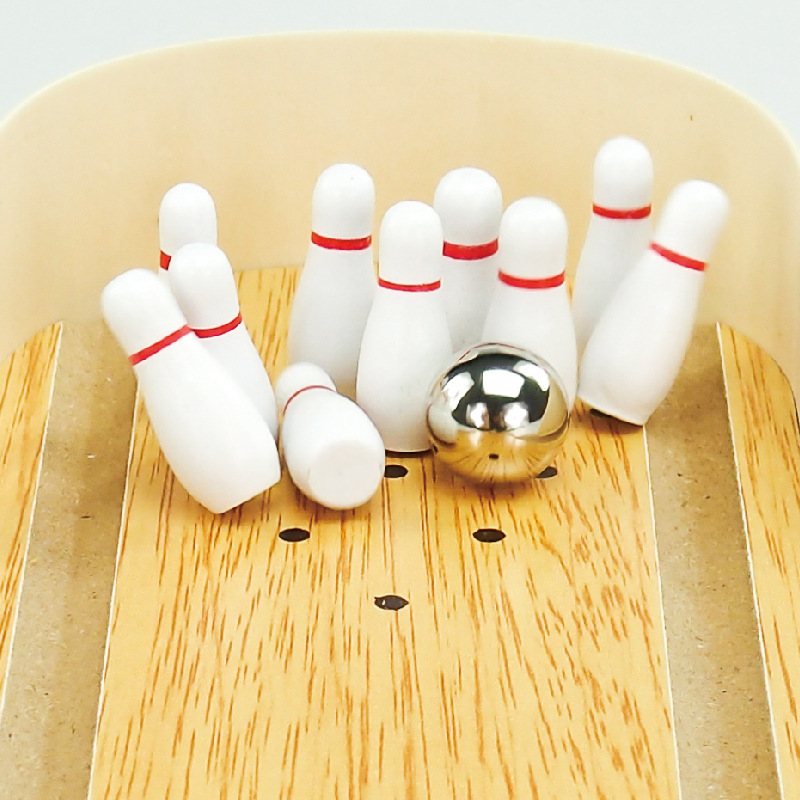 Although it is small, the fun is indeed the same as the real bowling. 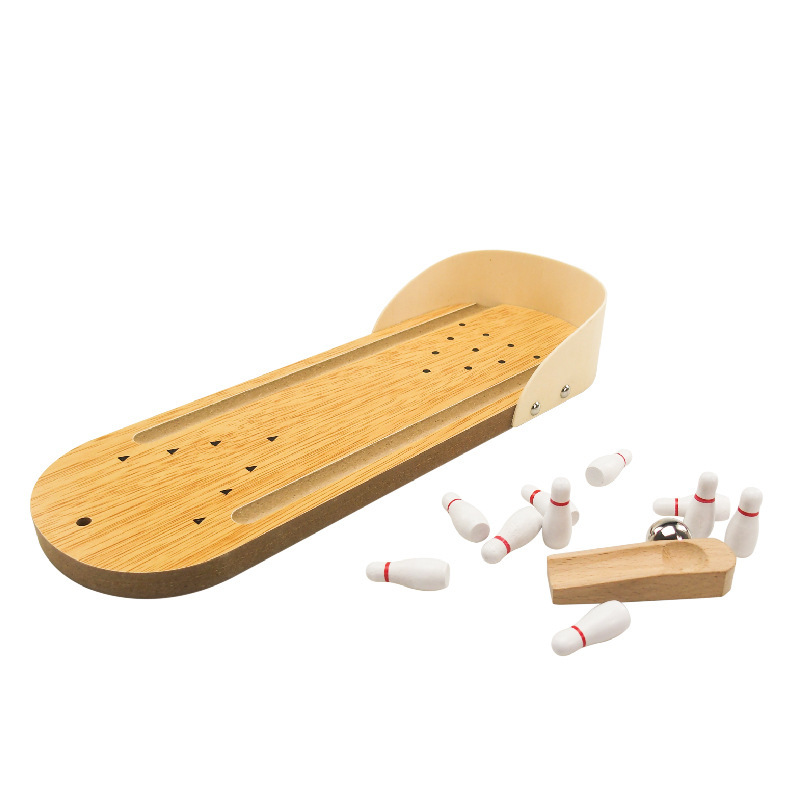 The calm wooden base and high-quality metal bowling instantly enhance the taste of the toy. Even if your baby doesn't play, you can put it at home as a chic piece of art. 8 years have been passed since we engaged in import and export business. Our mainly products are all wooden products like wooden toys, Wooden Kitchenware, wooden home décor, wooden furniture, wooden creative gift, etc. Our products strictly control the quality of products to ensure compliance with quality standards and requirements. All products are natural and add no substances that are harmful to health and the environment. Our all products can be customized according to customer demand, such as materials, size, logo, etc. We could also provide re-design service. If you are interested in wooden products please don`t hesitate to let us know. We will be more than happy to assist you. 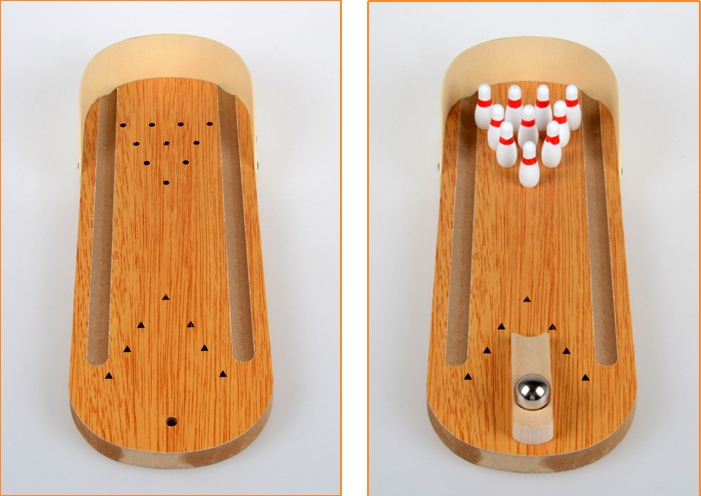 Looking for ideal Mini Desktop Wooden Bowling Game Manufacturer & supplier ? We have a wide selection at great prices to help you get creative. 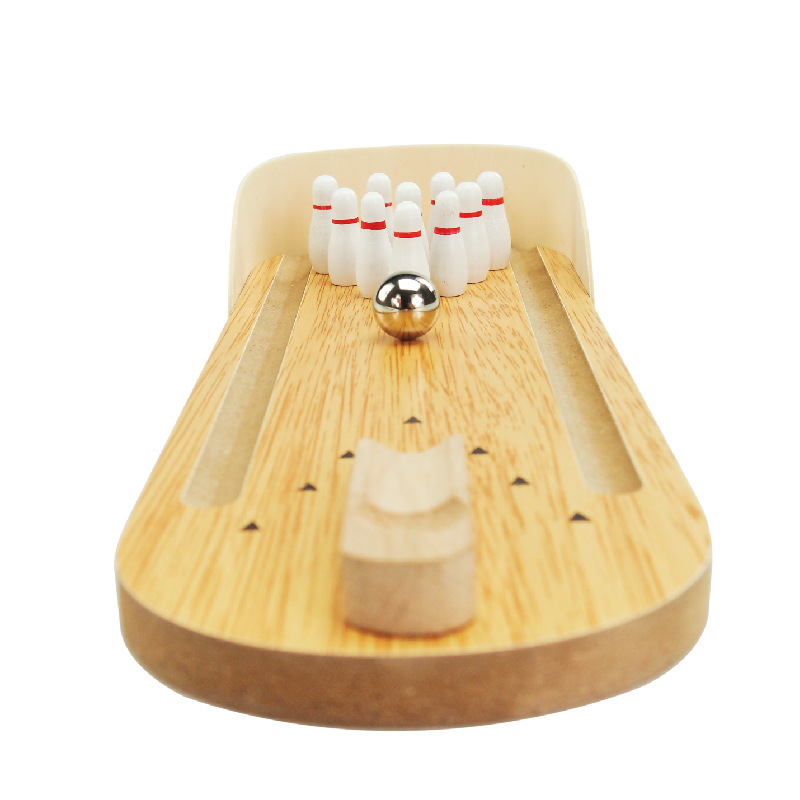 All the Mini Bowling Sport are quality guaranteed. 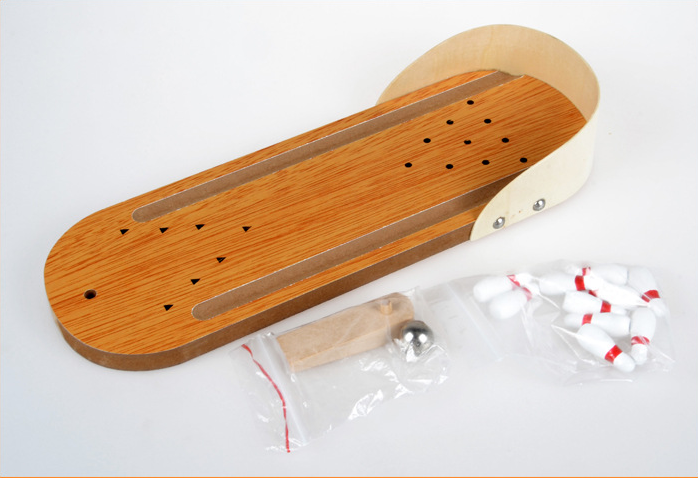 We are China Origin Factory of Mini Desktop Bowling Toy. If you have any question, please feel free to contact us.